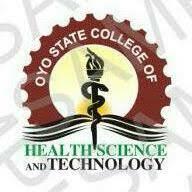 This is to inform the general public and interested applicants that Oyo State College of Health Technology (OYSCHST), (formerly School of Hygiene) Eleyele, admission form in HND Health Tech Nursing, ND in Environmental Health Technology etc is out and on sales. Prospective applicants should note the courses available, their requirements and method application below. ii. Registered Nursing (RN) certificate. iii. Registered Midwife (RM) certificate or any other basic nursing certificate e.g. Psychiatric Nursing Certificate plus one year post-qualification experience. (a.) A minimum of 3 Credits and 2 passes in any of the relevant subjects (i.e. English Language, Mathematics, Biology or Health Science, Chemistry or Physics and any other subject) at not more than two sittings. (ii.) 5 Credit passes Ordinary Level in WASC or NECO Examination in English Lang., Mathematics, Biology or Health Science, Chemistry and Physics, in not more than two sittings. (i.) 5 O/L passes in WASC or NECO Examination which must include English Language, Biology/Health Science, and any other two subjects. 3 out of the five subjects must be credit passes. Ajibulu Ayobami Business Centre in the College Main Campus. Tel. 08068788838. For further enquiries, please contact the Office of the Registrar on 08033497781 and 08065383417.